If you have started or are soon to start playing online and want the best experience possible then you will need to get yourself a gaming headset also sometimes know as gaming headphones. Designed to give you most from online games such as Modern Warfare 2 a decent headset will improve your online playing experience no end and in some cases even give you an advantage over others. Plus you have the added benefit of being able to chat online while playing with your team and/or mates. No need to pay for phone calls to chat to your mates when you can go online and chat while playing your favourite xbox 360 games. Some gaming headsets can also be used as normal headphones so even though these type are on the more expensive side they perform a dual purpose. Gaming headsets can be split into two different types, the purpose built gaming headset such as the Microsoft Xbox 360 Headset which traditionally have one earpiece and mic or the more expensive headphone types such as those made by Turtle Beach or Tritton. While the purpose built gaming headsets are perfect for that all round experience and often come bundled with the higher range consoles such as the Xbox 360 Elite and Super Elite, if you have the additional budget and want to get that competitive edge over other online gamers you will not be disappointed in the more expensive options as the additional sound and feel will push your gaming experience to the next level. The other alternative is to buy a more advanced headphone style headset which can be used everyday and make a perfect replacement for your standard headphones. 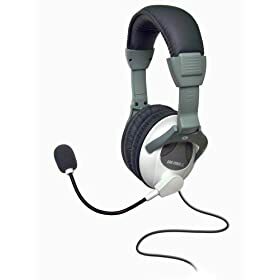 What you will also get with these is an increased sound quality which can be used to your advantage, for example when playing Modern Warfare 2 or in fact any first person shooter the additional sound quality will allow you to hear your enemies footsteps that little bit clearer than with a standard xbox 360 headset. Whatever you choose you won’t look back. A middle entry headset the Turtle Beach X1 is one of the most popular headsets for MW2 fans. With it’s enhanced sound you will hear every explosion and footstep, you can adjust game and chat volumes separately and it will also work with your PC if needed. Perfect for those late night gaming sessions on your 360. Turtle Beach make some of the most popular gaming headsets, a cheaper version of the X1 called the Ear Force XLC right up to the top of the range Turtle Beach X41’s which feature Dolby 7.1 Surround Sound & Dolby Pro Logic IIx with Digital RF wireless technology. The original headset and the same as the one bundled with the 360, the Microsoft Xbox 360 Wired Headset plugs straight into the controller and features one earpiece and mic for in game chat. Microsoft also do a Xbox 360 Wireless Headset which is similar in design to that of a bluetooth headset. The Tritton AX180’s are a very popular model from the Tritton range of gaming headsets. 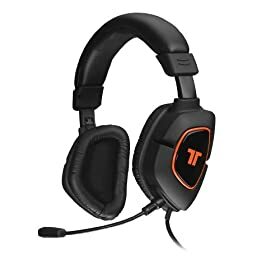 Tritton also produce other models such as the ax pro, ax 360 and ax 720 and these range of headsets are worth considering against those made by Turtle Beach as they are often compared against each other. These are gaming headsets for serious gamers. Amazon currently have some great offers on Gaming Headsets here. This entry was tagged gaming headphones, gaming headsets, tritton ax 180, turtle beach headsets, xbox 360 wireless headsets. Bookmark the permalink. Forget about everything else. Stick with Turtle Beach ONLY! They make the highest quality headsets with great built-in features and have very reasonable pricing too. I would highly recommend these to anyone. Ditto Mark I have Turtle Beach X1’s and think they are the great. Far superior to the standard headset. Thumbs up from me. Got me some Turtle Beach X41 bad boys for online gamin. Well nice….